So before explaining the rules, let me just briefly mention what in the world this Liebster award is about! Liebster is a German word (which I had no clue about, even after staying in Germany for the past two years) which means sweetest, kindest, nicest, dearest, beloved, lovely, kind, pleasant, valued etc (Wikipedia, you rock!) 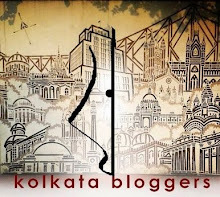 It is an award given to new and budding bloggers who have less than 200 followers, as a way to boost their reputation in the blogging community! 1) Each nominee must thank and link back the person who nominated them. 2) Answer the 10 questions given to you by the nominator. 3) Nominate 10 other bloggers for this award who have less than 200 followers. 4) Create 10 questions for your nominees to answer. 5) Let the nominees know that they have been nominated by notifying them. If you become India’s Prime Minister for one day, then what would be your first three decisions? Being an economist who has seen how this world works from a closer distance, I would say (in no particular order), provision of education- not just basic, but atleast through high-secondary- to everyone so that they can make decisions not based on their blind beliefs and religious orthodoxies but on sound logic and understanding, complete elimination of child labor, and improvement of the sanitation system. If the whole world fall asleep for one day except you and you are free to go anywhere and take anything, then where will you go and what things you would like to take? No! Over the years I have realized that love is more than just first sight. So, no. If you have given the freedom/power to rewrite some chapters of your life then, which things you would like to change or correct? I am very tempted to name a few impromptu decisions and embarrassing mistakes that I had made. But then given the fact that life is a learning curve, I would not actually want to rewrite any part of my life; afterall those impromptu decisions and embarrassing mistakes have made me who I am today (a cliché, but very apt nevertheless). Which film or novel or the character (you recently have read/watch) has impressed you most and why? Do you think or believe that the cyber world (social networking) can bring true and worthy relationships in our life? Please give a little explanation. Yes. I have seen friends around me finding their soulmates through this cyber world. Love means understanding and being able to communicate properly, whatever the medium be. However, I personally do not see something like that happening for me. If you are given a chance to live someone else’s life for one week then, who would be that person and why? I am intrigued by only one person in this world, who puzzles me to no extent. Time and again, I have thought what it is to be like him, to think the way he thinks, to feel the way he feels, the way he perceives a particular situation etc. We are poles apart in the way we think, which is why I often wish if I could get into his head. Wall-P, he is. Define the biggest ambition/dream of your life in one sentence. To live a complete and happy life with people I love. Being Mommee..Love It. Like It. Live It. 1) Three words that describe you the best. 3) Name one feature in you that you don't like. Could be physical, emotional, psychological, whatever. 4) If you could travel anywhere in the world and money was no object, where would you go and why? 5) What's the first word/thing that comes to your mind when I say 'rain'? 7) Your take on First love? Do you believe that first love, like every first, is special? 8) The next thing on your to-purchase list? 10) The one thing that you would like to change about your city? Congrats for your Award! Really special! Feels great to be nominated for my 2nd Liebster Award! Thanks a lot! Thank you so much, Ipsita! 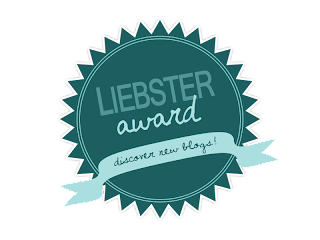 This is my first Liebster award! Will post my answers soon. Do keep writing!! Thanks for the honor, Ipsita. This came as a sweet surprise! Thank you very much for nominating my blog for the award.